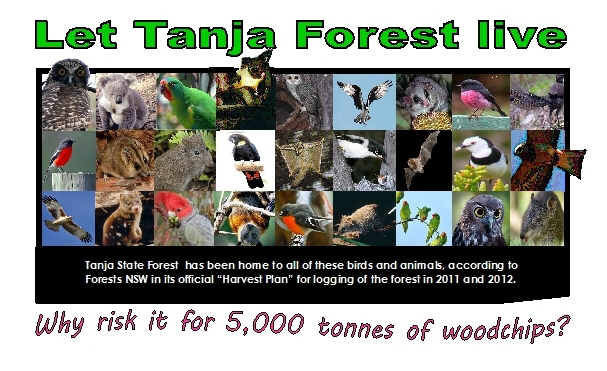 Tanja State Forest, home to Koalas, Powerful Owls, Yellow-Bellied Gliders and Open forest and Rainforest communities is due to be logged with the majority of this beautiful forest going to the Eden Chipmill for pulp, selling off our heritage at bargain basement prices. 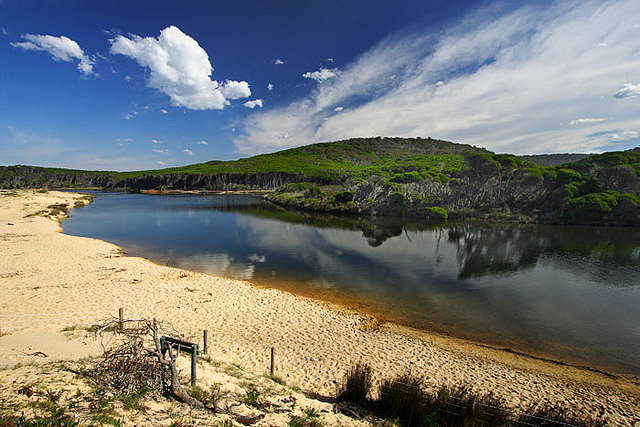 Forests NSW have ignored protests and concerns by the local community to protect this area from being trashed and chipped and are bent on destroying it. 4. Recognises that there is far greater economic benefit from retaining Tanja forest and its koala population for tourism and related industries than there is in the short term economic benefits of logging the habitat. This Koala & his colony live near my home, but if we don’t act fast Forestry NSW will log their habitat and they will be gone forever! 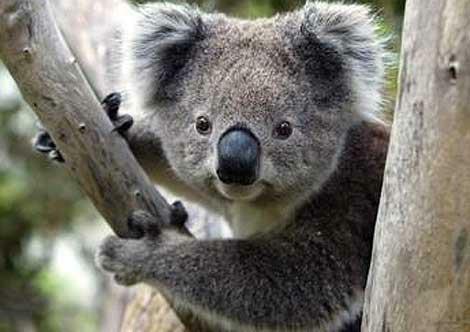 If you would like to help save the Tanja Forest Koalas and other precious flora & fauna please sign the petition below.